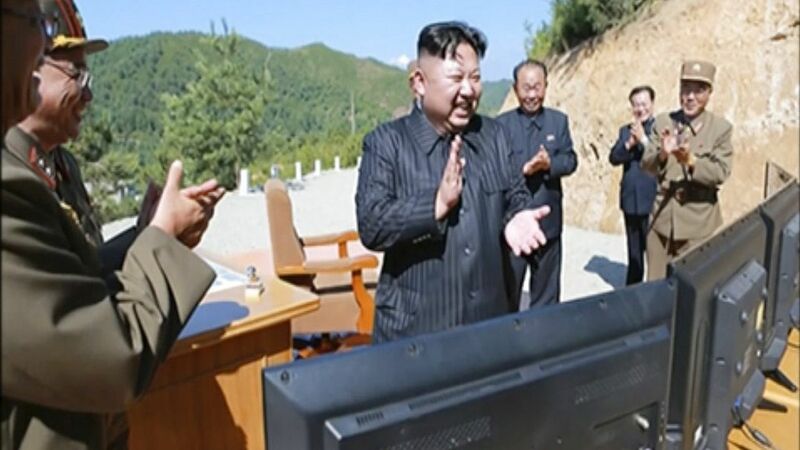 5 quick thoughts on North Korea's "dangerous game"
As the cable coverage got increasingly apocalyptic (here's how to shelter in place! ), we asked Council on Foreign Relations President Richard Haass, who has been golfing, riding and hiking in Wyoming (Susan does the fishing), for the least-hysterical way to think about the day's developments. "Potus's words (fire and fury) [were] counterproductive as it will raise doubts around the world and at home about his handling of the situation when all the attention and criticism ought to be placed on NK." "North Korea is engaging in bluster in the wake of its diplomatic isolation at the UN. The bluster could be meant for domestic consumption and to persuade China or Russia to reconsider their distancing from NK." "But Kim Jong-un is playing a dangerous game, as his words will add fuel to the argument here and elsewhere that he cannot be trusted with nuclear weapons and that deterrence cannot be assumed to work here." "I assume Potus's words were meant to signal NK and others that NK's bluster would not succeed in getting the US to back off its effort to isolate NK and pressure it to change course on its missile program." "[T]his may all be seen in hindsight as posturing. Diplomacy could still bring about a freeze on NK's capabilities or some other outcome that both sides can live with."